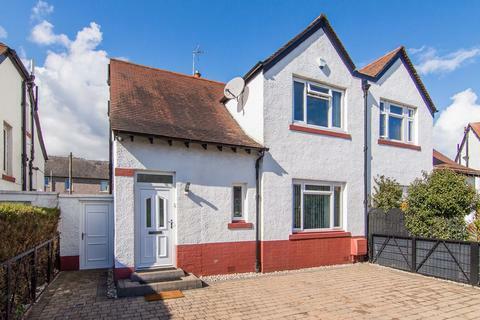 Viewing is recommended of this bright and immaculately presented upper villa which lies in the highly desirable area of Liberton, to the south of Edinburgh city centre. 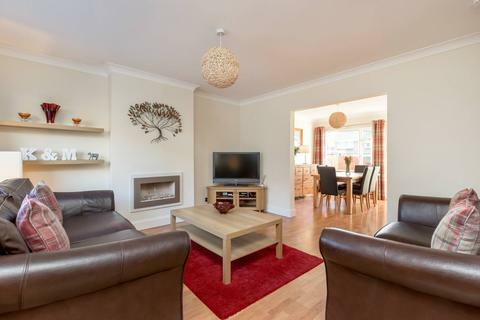 The property is entered through a wide reception hallway fitted with attractive, original wood flooring which extends through to the sitting room and third bedroom. The spacious sitting room is tastefully presented with twin windows which bathe the room in natural light. Full of period features including an Edinburgh Press shelf and intricate cornicing and with a modern fireplace as the focal point, this is a superb space for entertaining. The generous open plan kitchen/dining room is fitted with light wood work units, contrasting granite effect work surfaces with striking red tiling. Overlooking the mature rear garden with views of the city and with space to include a dining table and chairs, this is a fantastic space for social-dining. An invaluable utility room lies off the kitchen offering great storage and access to the private garden. 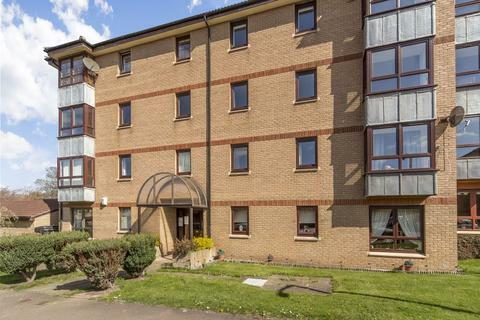 The property comprises of three well-proportioned bedrooms all tastefully presented with ample space to include free-standing bedroom furniture. The master bedroom is equipped with fitted wardrobes for convenient storage while making excellent use of the space. The modern bathroom has a white suite with a shower over the bath and neutral tiling. A store is located off the hall featuring a hatch with a Ramsay ladder which leads into the floored and lined loft space offering excellent storage and the potential to convert. Private well-maintained garden grounds are located to the rear of the property with a lawn and paved area for excellent out-door space to enjoy in the warmer months. The area provides private off-street parking. The property is fully double glazed with gas central heating. 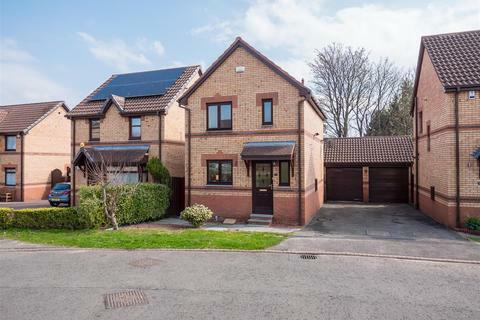 In an excellent location within walking distance of local amenities and the city centre, this tastefully presented upper villa with the scope to extend is in fantastic move-in condition. Property reference 35626. The information displayed about this property comprises a property advertisement. OnTheMarket.com makes no warranty as to the accuracy or completeness of the advertisement or any linked or associated information, and OnTheMarket.com has no control over the content. This property advertisement does not constitute property particulars. The information is provided and maintained by Deans Solicitors & Estate Agents LLP - Newington. Please contact the selling agent directly to obtain any information which may be available under the terms of The Energy Performance of Buildings (Certificates and Inspections) (England and Wales) Regulations 2007 or the Home Report if in relation to a residential property in Scotland.